Do you need to time travel to understand Medieval footwear? I am going to admit right of the bat that I am not a time traveler, but then neither is the fellow in the video. Apparently based on time he spends in character, he is telling us what people in medieval times walked like. I don’t begrudge him that. I just propose that his statements are somewhat misleading and lack the completeness of full life experience. What I am going to say is that I have lived and run predominantly barefoot for about 7 years now. 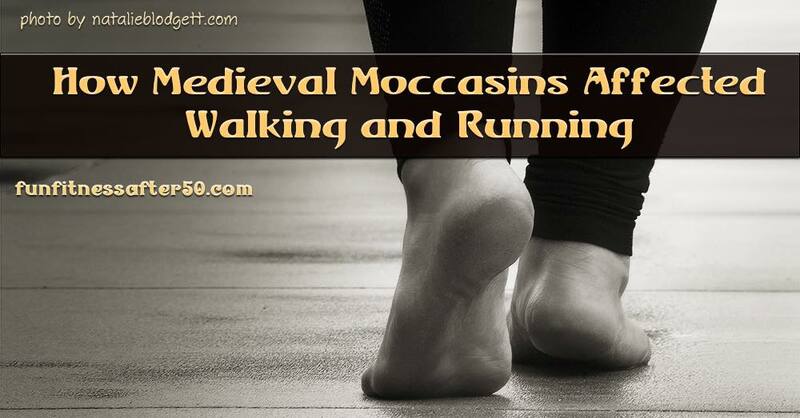 Based on my experience with this and wearing very minimalist footwear, similar to his medieval moccasins, I would like to clarify some of the actor’s claims. Minimalist footwear, such as his moccasins, do allow the foot to function more fully. I cannot tell from the video if his particular moccasins also allow for natural toe splaying, which is very important for balance and shock absorption. However, such a thin and flexible sole certainly lets the foot bend so that there is more spring in the step. This will very likely result in stronger calf muscles. People who are not used to walking barefoot (or in minimalist footwear) sometimes think they are or should be walking on the balls of their feet. That is because modern shoes typically have raised heels that interfere with how the foot naturally drops into its steps. Exactly how the foot drops changes with various factors. The foot drops differently depending on speed of locomotion, terrain, and activity. Even combinations of these factors change the foot fall. For instance, while running relatively fast on flat terrain a person is more likely to land more toward the balls of the feet, but unless running at a full out sprint, it will still be more mid foot than you might suppose. Change the terrain to a trail that rolls and ebbs, and the foot fall will vary a lot through out the run. When running long distances, unhindered footfall is almost centered flat, slightly to the outside, and letting the heel follow lightly and almost imperceptibly in the final seconds of the step. When walking at a moderate pace, the foot tends to plant itself basically all at once, then bend up to the front of the foot to engage in the next step. These things are hard to explain to someone who has not also spent significant time living barefoot. How hard do you need to think about walking barefoot or in minimalist footwear? Besides sprinting, being fully on the balls of the feet is usually saved for things like dancing or doing gymnastics. These are also activities, like sprinting, where a person is trying to have as much spring as possible. It is not necessary to consciously be on the balls of the feet, but it is like when a person thinks to look at something he doesn’t usually have to think about exactly how to move his eyeballs in the socket. If fact, if you think too hard about moving your eyeballs, it distracts from actually using them. If the terrain is rough or challenging, then the need to walk more delicately will depend on the slope or roughness of any given step. People who are used to stiff, thick shoes have lost a sense of how well a foot can adapt in each step or situation. They think that sensation is a bad or annoying thing when it is actually helping them walk efficiently and with less overall bodily stress. If a person has not been walking or running barefoot for long (in his life), then it helps a lot to keep movement on the slow side for a while. This gives time for both form to develop and bodily structures to get stronger. Remember that shoes are like casts and lead tthe atrophy of unused muscles and bones. A cautious pace also gives a person time to get good at scanning the ground more effectively. It definitely helps to spend more time with completely naked feet to get the feel for it without injuring yourself. Walking and running are natural movements for humans, as opposed to swimming. Form tends to develop better with time simply spent in locomotion than with a lot of time concentrating on trying to force a certain type of movement. Even with movements that are not natural,and benefit from considering form and mechanics, nothing replaces learning through exposure to feel of the movement over time. Where can you find out more about letting your feet do the walking and running? I have written about many of my barefoot experiences here on this blog. 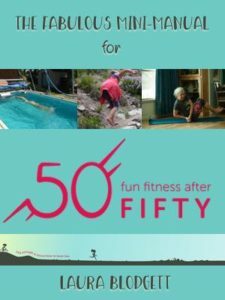 For a thorough and encouraging, discussion about being barefoot, I recommend my book Why Does Grandma Run Barefoot?